1. Have your pet micro chipped so that it can be properly identified. 2. Have your pet vaccinated against rabies by a certified veterinarian. Your pet must be given a rabies vaccination AFTER it has been micro chipped – there is no exemption to this rule, even if it had a current rabies vaccination before being micro chipped. 3. A blood sample from your pet must be tested by a certified laboratory and shown to provide a satisfactory level of protection against rabies. 4. After the Rabies Vacination you must wait 21 days before you can enter the UK. 5. Your pet must be treated for tapeworms by a certified veterinarian not less than 24 hours and not more than 120 hours before it is checked in with an approved transport company for travel to the UK. 6. Your pet must only travel with an approved animal transport company and enter the UK on an authorised route. •	Don’t forget to update your contact details on the microchip database before travelling, as this will help reunite you with your pet should it go missing while you’re on holiday. We have our FULL UK mobile phone number (example +4477.......) engraved on a collar tag so we can be contacted in which ever country we are in. •	Ask your vet to scan and check the microchip to make sure that it is readable and has not migrated and “got lost”. A pet which cannot be identified by microchip will be forced to go into quarantine, even if it has all the correct PETS documentation. •	If your pet has been previously vaccinated for rabies, make sure that you check the “Valid until” date on your PETS documentation and get its boosters done in time. Or you will have to go through the whole procedure and expense again (vaccination, Blood Test and the 6 month wait). •	Make sure you find a vet in a convenient location who can give your pet the necessary tapeworm treatment within the 24-120hr time-frame, before entry into the UK. As a general rule, the nearer the vet is to a Ferry Port the dearer the treatment will cost. •	Ensure that your veterinarian has completed all the PETS documentation, including the date and time of treatment (using the 24hr clock) and the product used, and that the Pet Passport has been stamped. The last point is vital; we have seen cases of people being told they can not return to the UK because the vet has filled in the wrong date or time of treatment. So check and double check that the date and time are correct and that the vet has Stamped the passport before you leave the vets. They can also, for a cost, arrange a vet appointment for you. It's a bit like the old saying 'How long is a piece of string'? These are the prices we where quoted today at a vets in our home town. Here is a break down of the this years (June 08) prices we where charged in Alencon for our 2 dogs. Incidentally, this is basically the same price we paid in '07 (at the same vet). How did we contact the vet ? We had planned to use a campsite near Alencon for our last stop on tour of France. So we used the French 'Yellow Pages' to select a vet in Alencon. We then wrote a letter in English and copied a 'Bable fish' translation on to it, we also added our Email address. Then we Faxed this to the vet. 3 days later we had an Email confirming the rendez-vous (Appointment). A Lot of people use the vet near Chateau du Gandspette, at Eperleques, only about 40 mins away from Calais. I think they are a husband and wife partnership - Paulus Jean, 21r Bleue Maison, 62910, EPERLECQUES Tel: 03 21 88 46 00. They speak English, and are used to dealing with English dogs. Turn Left leaving the site, at the roundabout go left, the surgery is on the Right before the Supermarket. Just had our 2 dogs to the vet (06/10/09) for their Rabies booster £62.60 for the 2 and the booster lasts 3 years. The rules on bringing a Dogs back into the UK changed on 1st January 2012. Tick treatment is no longer required and the time scale on the Tapeworm treatment has changed to no less than 24hrs and no more than 120hrs (5 days) before return. Thank you Mike for such a detailed information on taking your dog to france. excellant article about taking the dog abroad, we have taken our two German Shepherds several times to France several times now and an article like this would have most useful when we first took them, but have now learnt from previous mistakes. I note from the news lately, that most ferry companies are planning to increase the charges to take a pet abroad . Yes we have also read this. I think it's disgusting that the Ferry companies charge you for taking your dogs TO France. I can understand the charge for returning to the UK as they have to Read the 'Chip' and check the paper work. Euro-tunnel only charge for the return trip. VW because I am worth it !! I emailed the Vet at Condè sur Sarthe, Alencon at 3:00pm by 3:34pm received a reply confirming we can take the dogs any time we want on the Friday afternoon for their Pet Passport treatment. Brittany Ferries now require ALL dogs to be Muzzled whilst out of your car. Hi Phil, I have no problems with you contacting me directly. 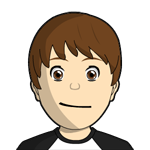 Though we do encourage people to Post there questions on the Forum, then other people may benefit from the answers given or may have further information to add. I will, if you don't mind, Post this question and my answer on the Forum. Firstly let me say I am no expert on the Pet Passport laws, I am just someone who has taken their 2 dogs abroad 4 times now (always by Euro-tunnel) and am taking them again this coming Saturday. 1) We have never had a Health certificate to take our dogs in to France. There is no check on the French Side of the Tunnel. Some Camps sites say you need a vaccination Cert but again we have never been ask for one and the Vet should have filled in Section VIII Other Vaccines with your dogs Booster details. If he hasn't I would advise you to take your dogs normal Booster Certificate as well. 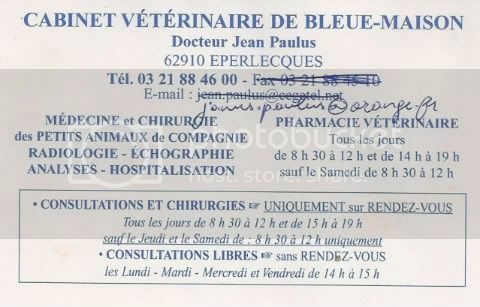 2) No, the French Vet is only supposed to check/read the Microchip number to make sure the number in the Passport matches the dog being treated number. Your Timings are Fine (31 hrs)..... Double check the Vet has Written the right Date & Time AND Stamped the Passports before you leave the vets. 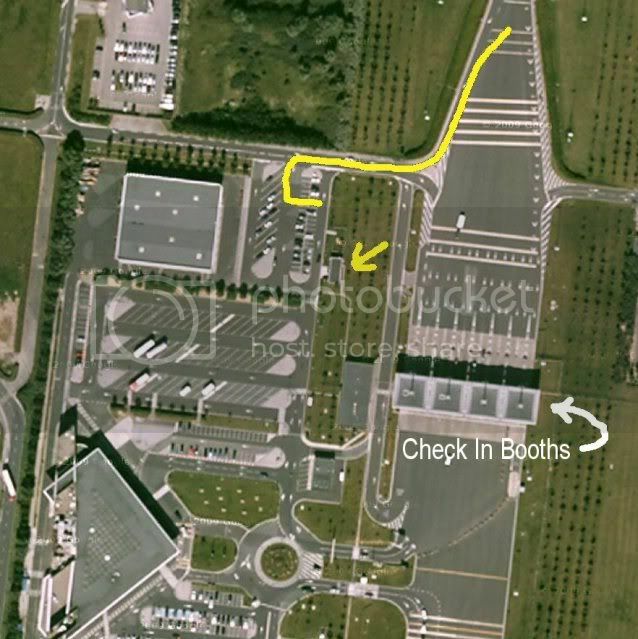 Remember at the French Euro-Tunnel entrance the Animal reception area is to the Right BEFORE the check in booths. At the reception area you need the Dogs, the Dog passports and your Ticket/Confirmation letter. They will hand you a scanner and tell you how to work it, they then check your passport. If all is well, they give you a sticker to stick on to the 'Hanger' you get when you Check in. If you have any other questions, please don't hesitate to ask, but as I said I am away from Friday dinner time for 3 weeks. This is a excellent Video of the Dog Passport checking area at the French side of the Euro-Tunnel by Keith Chesterfield. We have found that the Clinical Examination and the Stamping of Page 28 of the Pet Passport mentioned in the video is not necessary. many thanks Mike, its just me reading far to much and stresssssssing out , its the first time , and we love our dogs, as every owner should, didn't know how to put a post on the forum, going to check out help site, i will put my experience of our trip on the forum when we get back, mid July, many ,many thanks Mike, have a great time, stay safe ,kind regards to you all. Phil Nina . Hi Phil, yes Forums are a great idea. And once you've figured out how to post I'm sure you will be contributing to it. 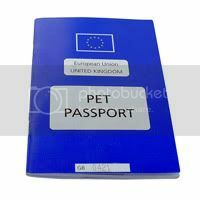 If your thinking of going abroad with your Dog/Cat next year and they don't already have a Pet Passport, you should wait until after 1 January 2012 to get one, as the Pet Passport rules are changing and it should be cheaper to get your Pet Passport then. The Rules have not been finalised they, but the Blood test (which cost a fortune) is going as is the Tick Treatment that is required before your can bring your animal back into the UK. I will re-write this thread when we now for definite what the full rules are. From 1 January 2012 tapeworm rules will apply to pet dogs only. Not less than 24 hours and not more than 120 hours (1-5 days) before its scheduled arrival time in the UK under the Pet Travel Scheme, your dog must be treated against tapeworm and the treatment recorded in the EU pet passport or the third country official veterinary certificate. •No treatment is required for dogs entering the UK from Finland, Ireland or Malta). Your dog must be treated against the tapeworm Echinococcus multilocularis using an approved/licensed veterinary medicine whose active ingredient is Praziquantel, or an equivalent product. You should check with your vet to ensure the correct treatment is used. A qualified vet must carry out and record the treatment in your pet’s passport or third country certificate. You must not administer the treatment yourself. The vet will charge you for this service. The treatment must be carried out every time your pet enters the UK. When you arrive at the check-in point, if less than 24 hours has passed since the treatment, you will have to wait until the full 24 hours have passed before you can check in with your pet. If the treatment was done more than 120 hours before you check in, you will have to have your pet treated again, have the treatment recorded in the relevant document, and wait at least 24 hours before checking in. In these circumstances the waiting period and treatment for tapeworm can be carried out in quarantine. Pets being taken abroad from the UK on day trips will need to have the treatment carried out in the UK not less than 24 hours and not more than 120 hours before they are checked in for the return journey. In these circumstances, it is recommended that a further treatment should be administered 28 days after return. Pet owners are reminded that it is considered good practice to regularly treat their animals against a range of ticks and tapeworms as part of their routine health management, especially if travelling abroad. Veterinarians are advised to discuss with their clients the appropriate course of action. The new rules may have been introduced because of what my vet was telling me we now have to do re-worming dogs from now on due to the threat of lung worm that has entered Britain since the Pet Passport came in. Aidan, the new rules are actually a relaxation of the old rules. Before 1 January 2012 your dog (& cat) need to be treated for TICK & TAPE-worm, before returning to the UK. After 1 January 2012 your dog only needs to be treated for TAPE-worm. Apparently the EU allowed the UK to keep the Tape-worm treatment because Britain has been free of Tape-worms for years. Thanks for the advise about the Lung-worm, our 2 dogs are due their booster at the beginning of January, so we will seek the vets advice then.